Can Mice Get in Your Bed? 1 A Big Question: Can Mice Get In Your Bed? 2 Will Mice Come Out If the Lights Are On? A mouse may look an inoffensive creature at first, but that little creature can wreak havoc and bring serious harm to you and your family members. They can damage so many items in your house and spoil your clothes and furniture. They often gnaw wires and book pages and cause serious damage. Moreover, these small creatures can spread seriously infectious diseases. It is therefore important to learn more about these little creatures and know what they are capable of doing. Keep reading to get answers to some important questions, like "will mice come out if the lights are on?" and "can mice get in your bed?" A Big Question: Can Mice Get In Your Bed? It is common to hear people say, "I saw mice in my bedroom". It is, however, uncommon to hear them say, "I found a mouse in my bed". The truth is that a mouse can get in anywhere. Since they can climb up walls, it is not that difficult for them to get in your bed. It's all about what they want to do. If they feel like jumping on your bed, they will do it. The following is some individual experiences on the question, "Can mice get in your bed?" "I don't call myself an expert in this field, but I've lived quite close to mice. I lived in my mother's house and she had mice there. I woke up one day and say a mouse sitting right next to my face. It was scary. Even though I still wonder if I was just imagining a mouse or there was one for sure. I asked my mother to buy a mousetrap and we got a cat as well. You may want to hire an expert to get rid of mice in your house. A good way is to fill a bucket with water and throw some corn meal in the water. This will attract them and they will jump in and drown." "Okay, it's time to buy the damn traps. At first, I thought there might have been a mouse or two in my house, but there are definitely many more than I can count. I wasn't that annoyed by them and was in no mood to kill them. I really thought we could co-exist, but it now seems that I have to take an action, as I've been putting off this problem for too long. What made me change my mind? I woke up yesterday morning and found a mouse in my bed, and it was crawling on my thighs… what choice do I have left now?" Will Mice Come Out If the Lights Are On? Many people think the mice won't come out once you've turned the lights on, but that's just a misconception. The answer to the question, "will mice come out if the lights are on?" is unfortunately a big YES. If you say, "There are mice in my bedroom but they don't come out when the lights are on", you're probably mistaken. Those pesky little devils fear nothing and they can come out whenever they want. The thing is that most rodents have biological clocks in them synchronized with the light. It means they rely on light to know when it is time to sleep, look for mates, or search for food. The research shows that although the light affects mice activity levels, the difference is not huge in light and in dark. It means they make more rotations at night (in the dark), but they are almost equally active in light. Instead of asking, "Can mice get in your bed?" you will be better off trying ways to get rid of them completely. Here's a bit more about what you can do to resolve the issue once and for all. Remove Their Food Sources. It is important to bear in mind that a mouse will choose a house where they could find lots of food with ease. You should remove their food sources to avoid infestation. Buy new glass and plastic containers and store food carefully. Make sure you don't leave leftovers of food in your kitchen. Avoid using paper packages to keep pets' food. Keep Your House Clean. A clean house will discourage mice and other rodents, and keep them from sharing your house with you. You need to understand that even a couple of spills left on your dining table will provide a rodent a good reason to stay in your house. Moreover, you need to keep everything in place and avoid leaving clothing in the corners because this provides mice a place for nesting. Close Possible Entries. It may take a while, but you have to do it to keep mice out of your property. Look for all possible entries, including anything about 1/2 inches, and close them all. Instead of deciding how to get rid of rodents, you should focus more on how to make it difficult for them to enter your house in the first place. Cover small spaces and holes with aluminum netting or use steel wool to stuff those holes. Try Mice Poison. 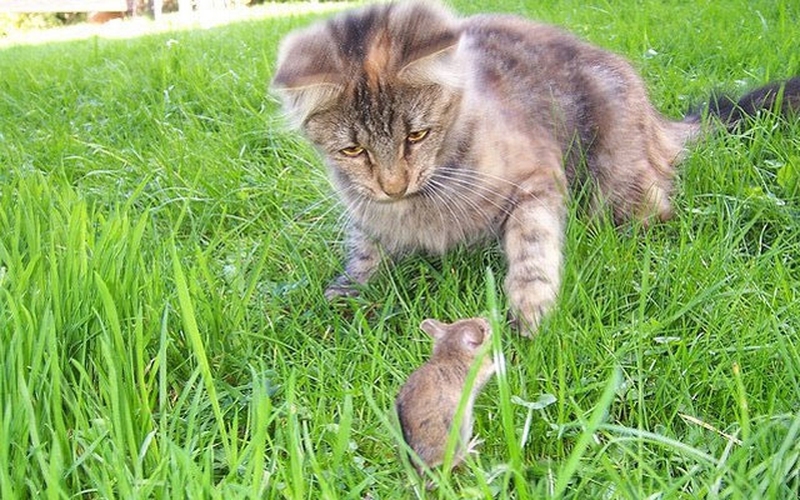 It is easy to find several types of poisons to kill mice. Some people are not that comfortable using poison in their home. If that's the case, you may consider getting special glue for mice. You need to apply it on a piece of cardboard and put it in your bedroom or anywhere in your apartment. Once they stick to it, you can simply throw them away with the piece of cardboard. Use Traps. Many people think mousetraps aren't that effective, but that's not the truth. Another issue is about dealing with mice corpses. If that's the case, you can use human traps, the ones that let a rodent enter but don't let them come out of it. You can then release them away from your house – make sure to release them at least a mile from your house or they will come back with ease. Use an Ultrasonic Device. A rather innovative and high-tech way of keeping mice at bay is to use ultrasonic devices. You just need to buy one of these devices and turn it on. You will be amazed to see those little gray depredators running out of your house. Buy a Cat. This method cannot fail. Buy yourself a cat – it will entertain you by playing with you and solve your biggest problem by killing mice. Server responsed at: 04/24/2019 6:34 p.m.